Meriam is still fighting for her life. she has been revived twice. Now, more than ever, we need your prayers for her. Thank you, everyone! Everything was ready for the transfer, except for Meriam. After accomplishing all the necessary paperwork, Ate Beaulah (Meriam's sister) was called because Meriam's vital signs started to become unstable. The doctors did not allow her to be transferred. Please pray for our friend. Thank you all so much! Meriam is set to be transferred to a different hospital. Her older sister, Beaulah May Palomares, is making all the necessary arrangements for the transfer. Currently, she is looking for an ambulance that can transport Meriam to a new hospital. If you can offer any help, kindly contact her at 09261929859. In June 2018, Meriam underwent a gallstone removal surgery in Amang Rodriguez Memorial Medical Center. Everything went fine - or so we thought. Days after, she became jaundiced. The doctors explained that it was normal as she just underwent surgery. However, two weeks had passed but her condition became worse. She started vomiting blood. After further tests, it was found that she had complications from her surgery. She had obstruction and toxins started to poison her body. Now, she needs to undergo another surgery (hepatobillary surgery) but her vital signs are still not stabilized, hence, the delays. We appeal to your kind hearts to help her out with her medical bills. No amount is too small as it will help our friend in so many ways. Meriam Ruth is a single mother of three wonderful girls (aged 13, 6 and 1). 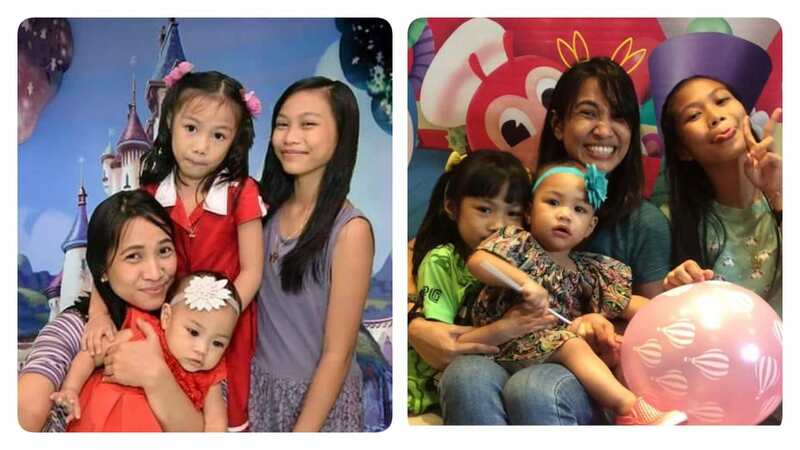 Please help Meriam come home to her kids. *Currently, Ate Beaulah is the one who does all the tasks for Meriam and the main contact person. Should you want to offer any kind of assistance, please do not hesitate to reach her out at 09261929859. Thanks so much! May God bless us all. Meriam and I became classmates in high school. We only spent one school year together but the bond between us remained. She made me her eldest daughter's godmother. We became each other's confidante. The last time we saw each other was when she confided on how distraught she was when she lost her job. And then, the next thing I knew, she was in ICU because of her operation's complications.